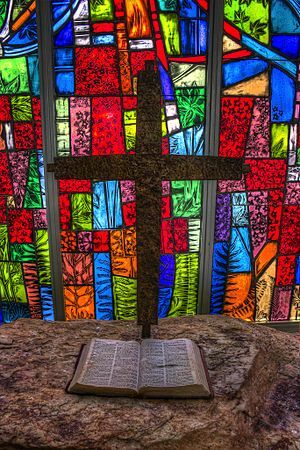 The Christian cross is the best-known religious symbol of Christianity. 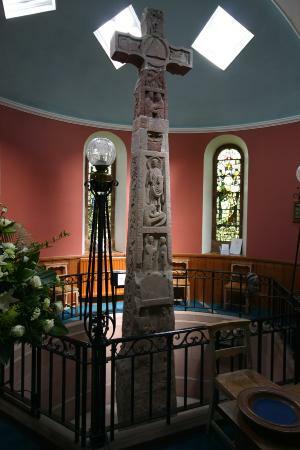 It is a representation of the instrument of the crucifixion of Jesus Christ. 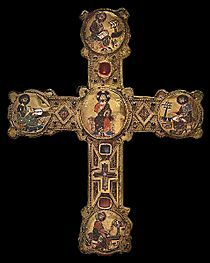 It is related to the crucifix (a cross that includes a representation of Jesus' body) and to the more general family of cross symbols. The cross-shaped sign, represented in its simplest form by a crossing of two lines at right angles, greatly antedates, in both East and West, the introduction of Christianity. It goes back to a very remote period of human civilization. It is supposed to have been used not just for its ornamental value, but also with religious significance. 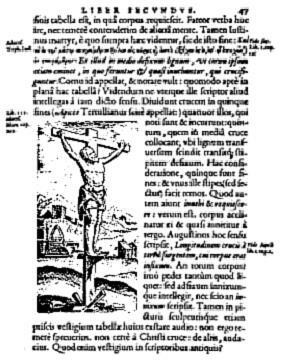 During the first two centuries of Christianity, the cross may have been rare in Christian iconography, as it depicts a purposely painful and gruesome method of public execution. The Ichthys, or fish symbol, was used by early Christians. In Christianity the cross reminds Christians of God's act of love in Christ's sacrifice at Calvary—"the Lamb of God who takes away the sin of the world." The cross also reminds Christians of Jesus' victory over sin and death, since it is believed that through His death and resurrection He conquered death itself. They venerate it not as a material object seen in isolation but as the symbol of the sacrifice by which Christ saved them, as the instrument of Christ's triumph. The cross is often shown in different shapes and sizes, in many different styles. It may be used in personal jewelry, or used on top of church buildings. 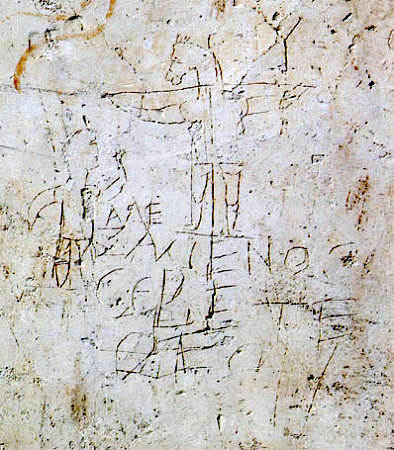 It is shown both empty and in crucifix form, that is, with a figure of Christ. There are several different Christian crosses that are symbols for different Christian groups or persons. The empty cross is usually favored by Protestants, and the symbol reminds them of the Resurrection of Jesus. 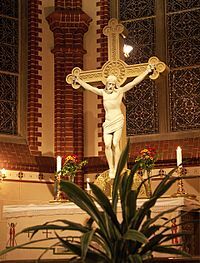 The crucifix is favored by Catholic churches and is a reminder of Christ's sacrifice. Christians remember the death of Jesus on the cross on Good Friday every year. Kottakkavu Sliva, a Persian cross founded by Mar Sabor and Mar Proth, is preserved at Kottakkavu Mar Thoma Syro-Malabar Pilgrim Center, North Paravur, India. 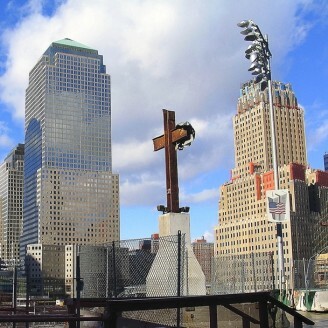 The World Trade Center Cross rises from the World Trade Center wreckage. Christian cross Facts for Kids. Kiddle Encyclopedia.